Description: After using a lot of different journals, we decided to create the one that we wanted to use. 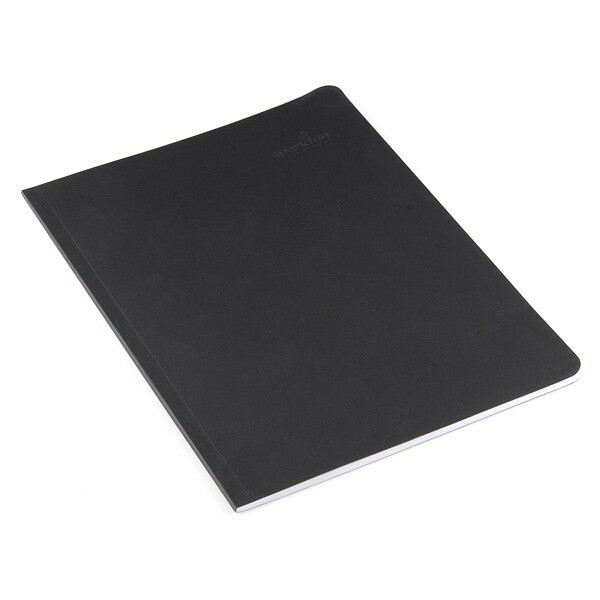 52 pages thin, matte black flexible cover, with 1/8" grid on every page. It's light weight, easy to pack, and has just enough pages to record all those crazy ideas. Also, we've altered the pages slightly, the grid is now white on grey. I'm not sure about you, but we like to travel incognito. The black color is pretty sleek and avoids attention, but there is an embossed SparkFun logo on the front cover in case anyone looks closely.